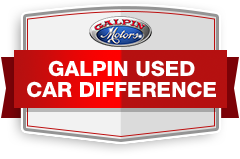 Galpin offers a Limited Lifetime Powertrain Warranty* that protects you for as long as you own your vehicle. Need Help Finding Your Vehicle? Tell us about the car you are looking for.